Futons are a wonderful, multi-functional piece of furniture. They can be pulled out to create a bed from a couch, reclined from a couch position to a chaise lounge position, and some models have storage space in them. 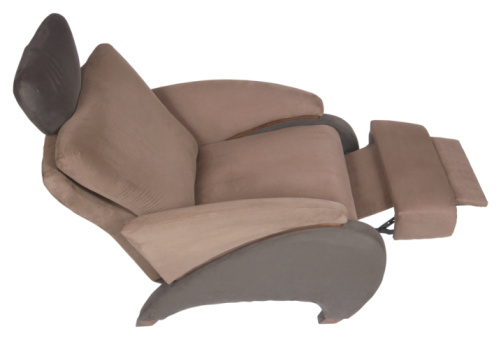 Basically, you'll find three types of futon: love seats, bi-fold futons and tri-fold futons. These furniture pieces are ideal for small spaces such as apartments and studios. Pulling out futons for different uses is simple. Futons come in a variety of sizes and colors. Pull the futon away from the wall. It should be far enough away from the wall to comfortably step between the wall and futon. Take all pillows and blankets off the futon and set aside. As you pull out the futon, these items will shift and/or get in your way. Bend at the knees, placing your hands under the lip of the futon's seat. Lift up with your knees to pull out the futon, reclining the back downward into a bed position. On some futons, there is a latch that is pulled to extend the futon from couch to bed. While you pull, the back and seat will pivot, exposing the storage area, if it is equipped with one. Replace the pillows and blankets if necessary and move the pulled-out futon against the wall. 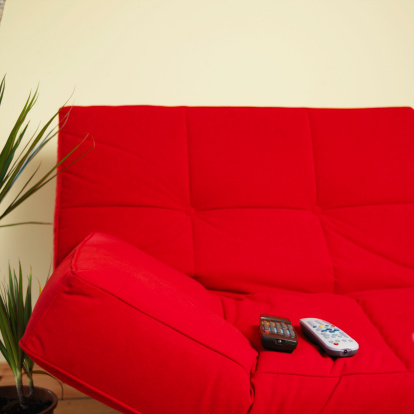 To return the futon to a couch position, simply reverse the process by grabbing the back and lifting up.